Is MISSION IMPOSSIBLE “Doing Bond” Better? With the opening of the sixth Mission Impossible movie (Fallout) this weekend, you will see many of the same headlines as the one I have provided. Before we get down to the nitty gritty, let’s answer the headline’s question first: Currently? Yes. Yes it is. But in this article you will read that as amazing as Tom Cruise is as Ethan Hunt, 007 still has a few tricks up his cuff-linked sleeve. The Mission Impossible franchise is doing something most never do. They continue to get better as each new movie hits theaters. The first three were solid flicks, but since 2011’s Ghost Protocol, they have reached a status rarely seen in the action movie genre. Now with Fallout being universally praised as not only one of the best films of 2018, but also one of the best action movies in the history of cinema (currently has a 98% on Rotten Tomatoes and an 86 score on the even tougher scale of Metacritic), the producers and crew of the next Bond movie (aka Bond 25) had better step their game up. Do me a favor. Tonight at home, watch Mission Impossible: Rogue Nation and pretend Ethan Hunt is really James Bond. Soloman Lane is Blofeld. The Syndicate is SPECTRE. You can even replace Alec Baldwin’s character with Ralph Fiennes’ M, Jeremy Renner’s with Jeffrey Wright (Felix Leiter), Simon Pegg’s with Ben Whishaw as Q, and so on. Rogue Nation is the film Spectre needed to be, especially after the triumphant success of Skyfall. There’s a giant elephant in the room that we have not discussed. The insane stunts done by Tom Cruise. This is both M:I’s greatest strength and weakness. While the Bond franchise has decades under its belt when it comes to death-defying stunts, they are usually done by stuntmen. Sure, Daniel Craig does a lot his own stunts. But he’s not Tom Cruise. Cruise is both an adrenaline junkie, the likes of which we have never seen on the big screen, and he’s richer than God (or L. Ron) which means he can pay off the insurance companies to let him do his insanity. And let’s face it, the man always delivers. Scaling the world’s tallest building or hanging from a plane as it flies mid-air, can’t be topped. Although the stunts he does in Fallout are right up there too. Remember what I said about Tom Cruise’s stunts being the M:I franchise’s weakness? 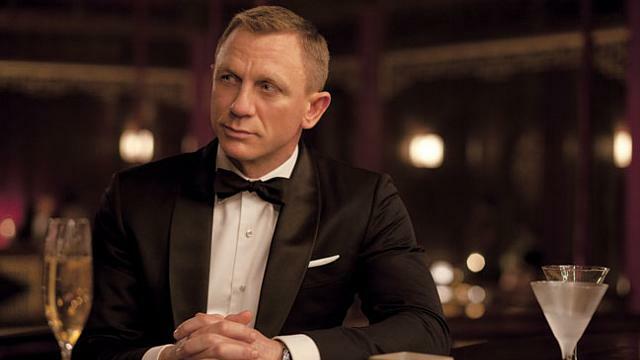 Daniel Craig will leave the role of Bond after the new movie is released in November 2019. He’s the sixth actor to have played Bond over the 55+ year run. There will be a 7th actor to play 007 and audiences will still go see the films in droves. Can the same be said of Mission Impossible once Tom Cruise leaves the role of Ethan Hunt? Will we want to see someone else play that character, or a similar one with a role in the IMF? I doubt it. At least not in the same massive box-office numbers. Cruise is the greatest entertainer in the movie industry. He’s like a Vegas show at your local cinema. I want to see him perform the crazy stunts. Not a new actor’s stunt double. Talk about a tough act to follow, right? Audiences care about James Bond 007 more than the actor. These same movie-goers care more about Tom Cruise than they do about Ethan Hunt. That’s the edge the Bond filmmakers have. But let me be clear, as of today, at this very moment in time, the Mission Impossible franchise is beating the 007 franchise. Your move Bond 25. This blog will self-destruct in five seconds. 1) It’s already been beaten to death, but Tom Cruise is simply too damn old to be an action hero. This is why A View To A Kill is barely watchable because Roger Moore is roughly the same age in that film as Cruise is in this one. 2) It’s nearly impossible to make a good movie with Tom Cruise unless you have a “heavyweight” in it with him. A Few Good Men is a crap movie if it doesn’t have Jack Nicholson. Rain Man is a crap movie without Dustin Hoffman.